The 54-year-old is being seen as a potential strong contender to get Democratic presidential nomination to challenge Trump in the 2020 elections. “I will make my decision soon, not at this very moment,” she told CNN in an interview. The Senator from California is currently on her book tour. Her book ‘The Truths We Hold: An American Journey’ hit the book stores on Wednesday. In her book, she says that she thinks that the country is ready for a president who is a woman of colour. Her other book “Superheroes Are Everywhere” for children also hit the book stores simultaneously. “I will say that we have to give the American people more credit. And we have to understand that the American public and the people of our country are smart people who will make decisions about who will be their leader based on who they believe is capable, who they believe has an honest desire to lead, to represent, to see them, to be a voice for them even if they have no power, and those are the kinds of people who we are as a country,” she said. 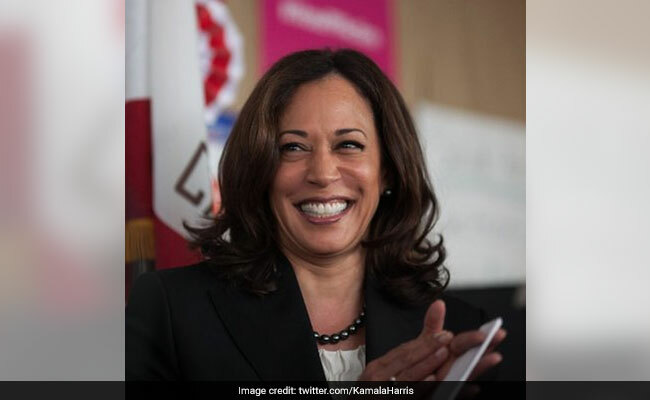 In an interview with ABC, Kamala Harris said she has yet to decide if she will run in 2020, but was definitely certain on one point that the US is “absolutely” ready for a woman of colour to be president. “I’m not saying that about myself, but I am saying that about the capacity of the American public,” Ms Harris said. When asked if the “likability” challenge that so many women in leadership positions face still exists, Ms Harris recalled a powerful lesson her mother taught her when she was younger. “Despite a woman’s role in the world, there are still certain myths of what a woman can and cannot do,” she said, citing her mother. “There are so many myths that we still are challenged with,” she said. “But with each woman who gains success, I think there is a greater appreciation and understanding of the capacity and breadth and depth of who women are and what we can do,” Ms Harris said. A wall along the US-Mexico border was one of Trump’s signature campaign promises. Trump wants USD 5.7 billion to build the wall. Democrats are refusing to allocate the money, arguing that a wall would be costly and ineffective. “It is a false choice to suggest that we’re going to hold 800,000 federal workers and all of the services that they provide hostage for this president’s vanity project,” Ms Harris said. Later Wednesday night, Harris turned up the heat on Trump by blasting his insistence on holding out for funding for his border wall before reopening the government — comparing the President’s behaviour to how her 11-year-old godson might have behaved with his toy train. “Any good parenting would tell you that you don’t listen to those kinds of tantrums, and you don’t reward that behaviour,” she said.Harris argued that Democrats should not cave to those sorts of tactics.